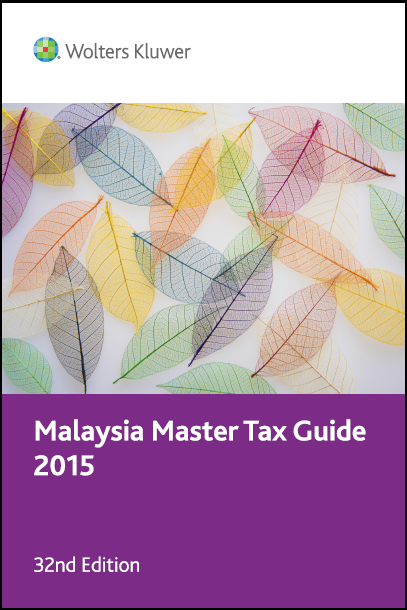 Malaysia Master Tax Guide 2015 launched! Updated for all law changes up till 31 January 2015, this publication contains practical guidance on every aspect of the Malaysian tax regime that you need to know about. With examples and illustrations available throughout, no tax professional's bookshelf will be complete without our flagship tax book. We've also included a whole new chapter on GST administration, which includes practical examples to deal with various scenarios. Orders are already pouring in, have you sent yours in? If not, don't miss out, order your Malaysia Master Tax Guide 2015 now now now! To order, existing customers can contact your regular Account Manager. New customers can visit our online store. .